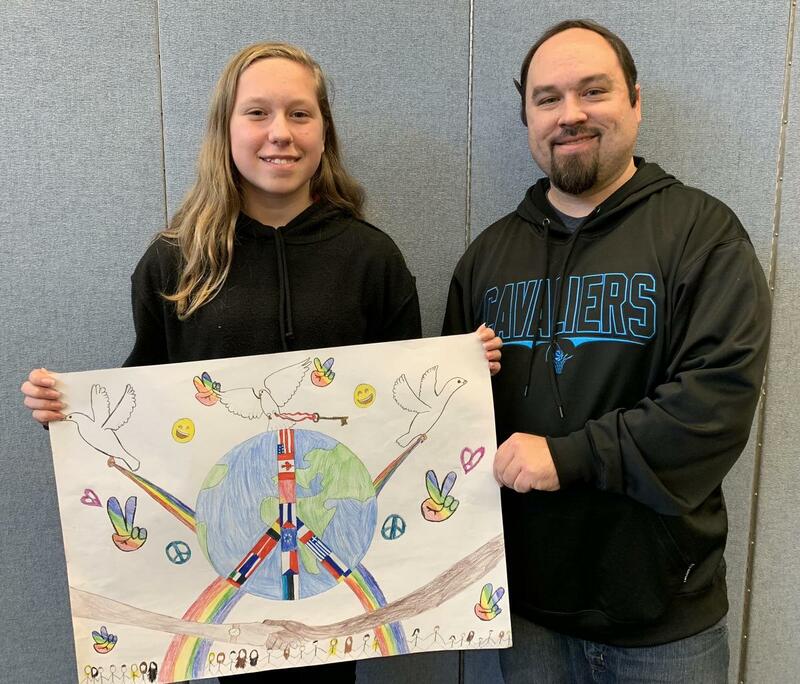 Emily Gnad, a 6th grade student at Heritage Middle School, has taken the first step to becoming an internationally recognized artist by winning a local competition sponsored by the Painesville Lions Club. Gnad’s poster was among more than 600,000 entries submitted worldwide in the 31st annual Lions International Peace Poster Contest. Lions Club International is sponsoring the contest to emphasize the importance of world peace to young people everywhere. “Gnad’s poster will advance to face stiff competition through multiple district and international rounds of competition if she is declared to be the international grand prize winner,” Hach said. One grand prize winner and 23 merit award winners will be selected. The grand prize includes a cash award of $5,000 plus a trip for the winner and two family members to an award ceremony. The 23 merit award winners will each receive a certificate and a cash award of $500. “Our club is cheering for Emily as her poster advances in the competition, and we hope that her vision will ultimately be shared with others around the world,” Hach said. Lions Club International is the world’s largest service club organization with 1.4 million members in more than 47,000 clubs in more than 200 countries and geographic areas. In addition to its efforts toward conquering blindness, the organization has made a strong commitment to community service and helping youth around the world.